Horse trainer Darren Weir has been banned for four years over possession of electric-shock devices. 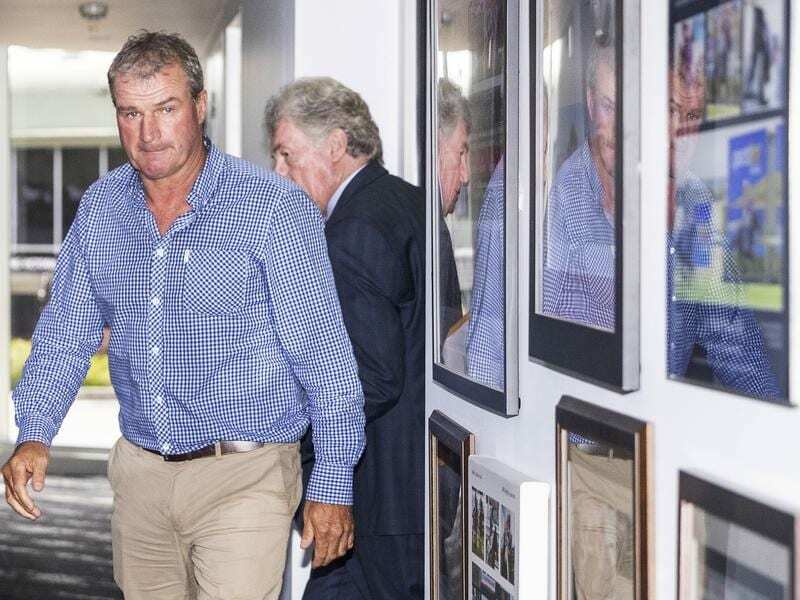 Darren Weir has been banned for four years for possession of electric-shock devices, completing a stunning and swift fall from grace for one of Australian racing’s most celebrated figures. A Melbourne Cup-winning trainer, Weir didn’t contest Racing Victoria charges when he appeared before a hastily convened Racing Appeals and Disciplinary Board panel on Wednesday. The hearing was told police and stewards found electrical apparatus known as jiggers in the master bedroom of Weir’s home when they raided his principal stables at Ballarat last week. Weir faced six charges including three for possession of an electrical device along and one of conduct prejudicial to the image of racing which was found “proven”. “Until a week ago, you could be described as a leviathan trainer with hundreds of horses, owners that number in the thousands with a staff of 150,” Bowman said. “You rose from the depths of the Mallee (region) to be Australia’s leading trainer. Bowman said he had divested his interest in the horse when appointed RAD Board chairman while Bornstein’s wife had a share in a horse trained by Weir. Most of his 36 Group One winners have come over the past five years as some of the world’s biggest and best-known owners flocked to his stable in search of success. Counsel for RV Jeff Gleeson said the fact the devices were found at the trainer’s home indicated a desire to hide them from a stewards’ inspection. “The four-year disqualification is appropriate if the board takes into context how much the racing industry has been tarnished in the past week,” Gleeson said. Weir’s counsel Patrick Wheelahan said the trainer did not agree with RV’s submissions but wanted a quick end to the inquiry. “He instructed his lawyer to get the matter finalised as soon as possible,” Wheelahan said. “He’s seen other matters drag on costing millions of dollars to the industry.